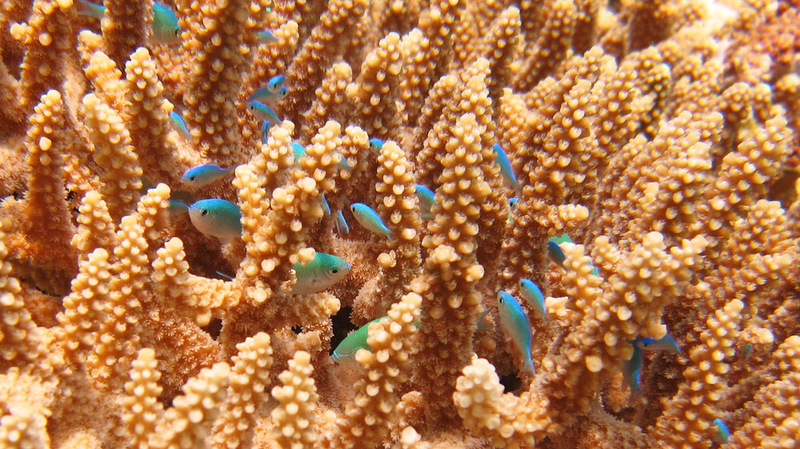 Blue-green chromis (Chromis viridis) shelter within their favourite bit of branching coral. 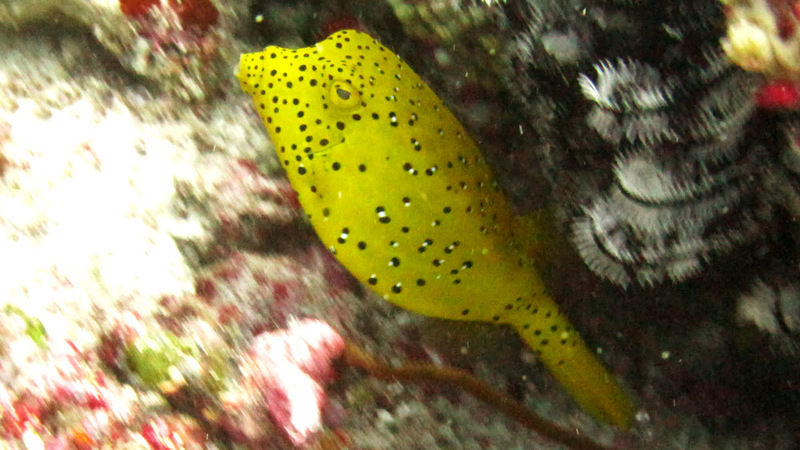 Juvenile Yellow boxfish (Ostracion cubicus) at Thudufushi Tilla. 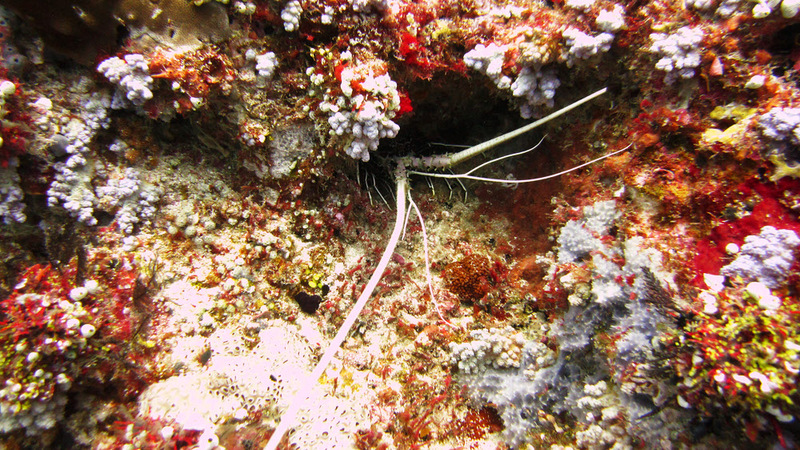 A Painted rock lobster (Panulirus versicolor) looks out of a hole at Thudufushi Tilla. 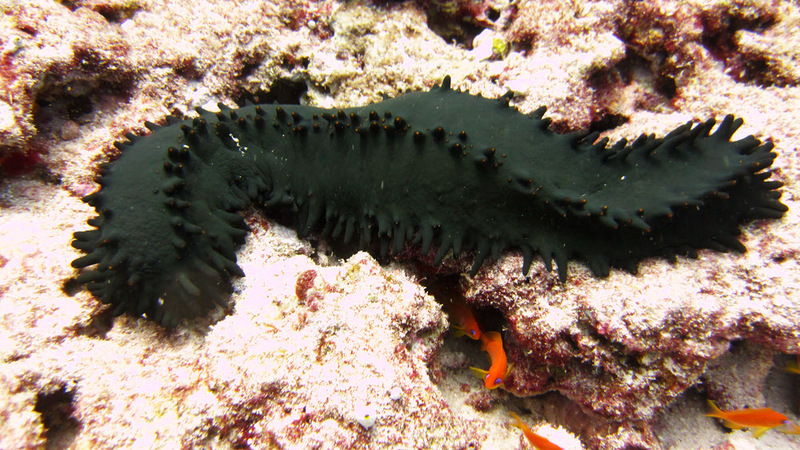 A big (30cm) Dark green sea cucumber (Stichopus chloronotus) at Thudufushi Tilla. Each protrusion is tipped with orange. 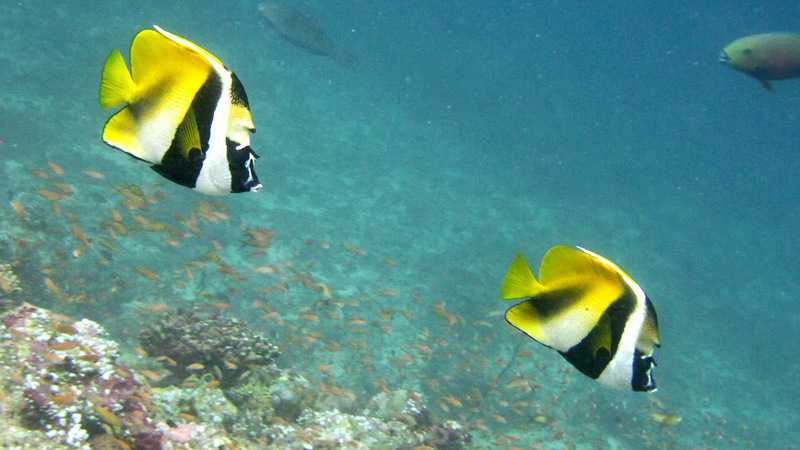 A pair of Masked bannerfish (Heniochus monoceros) pass by at Thudufushi Tilla. 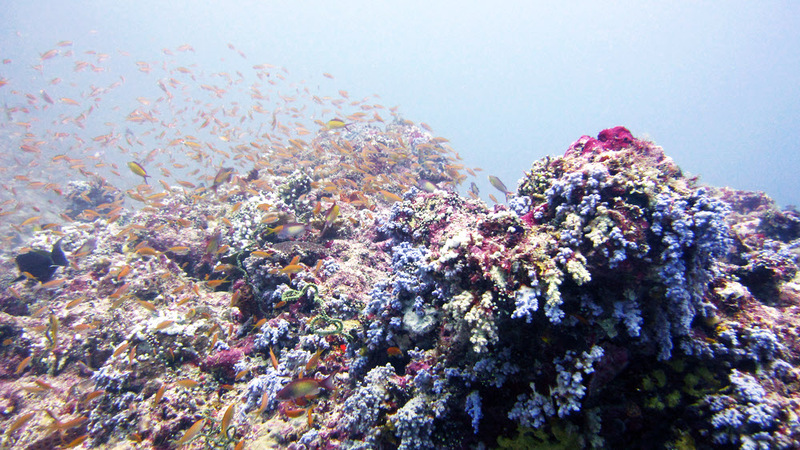 A massive Napoleon Wrasse (Cheilinus undulatus), well over a metre long, swims off in the distance at Thudufushi Tilla. 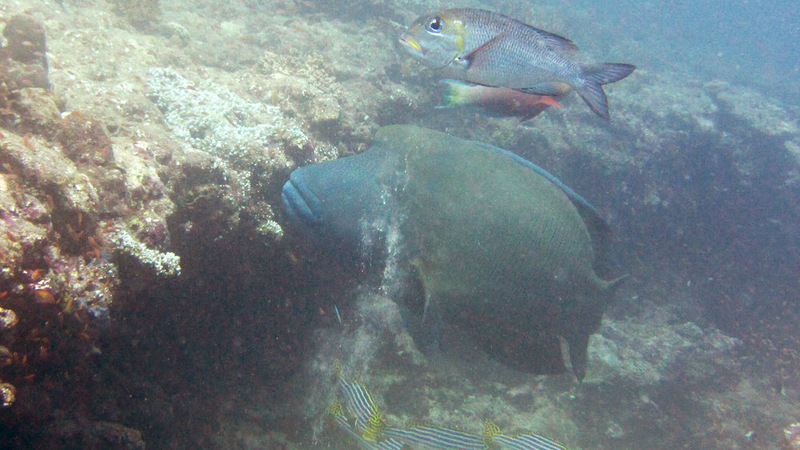 This is probably a Redlip parrotfish (Scarus rubroviolaceus) attacking the coral by scraping away at it with its hard beak. 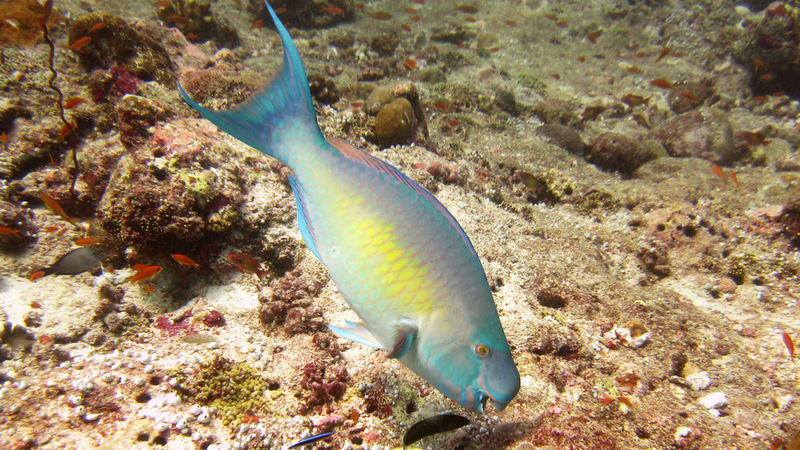 It's difficult to identify Parrotfish, as there are dozens of similar species. 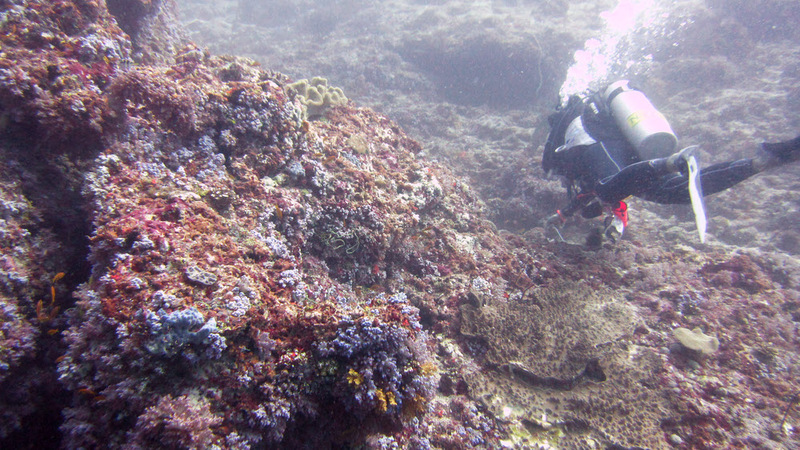 Dive leader Mara leads us past some gorgeous multi-coloured soft corals at Himandoo Tilla. 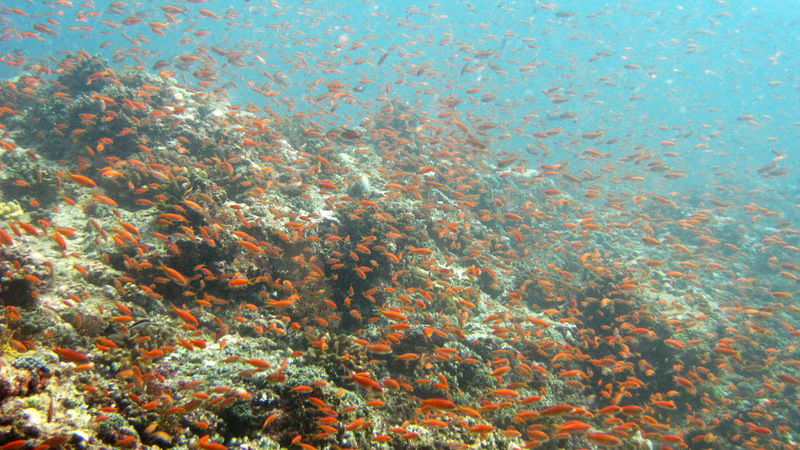 As well as these orange and pink Dendronephthya forms, there were also bright blue ones as well. 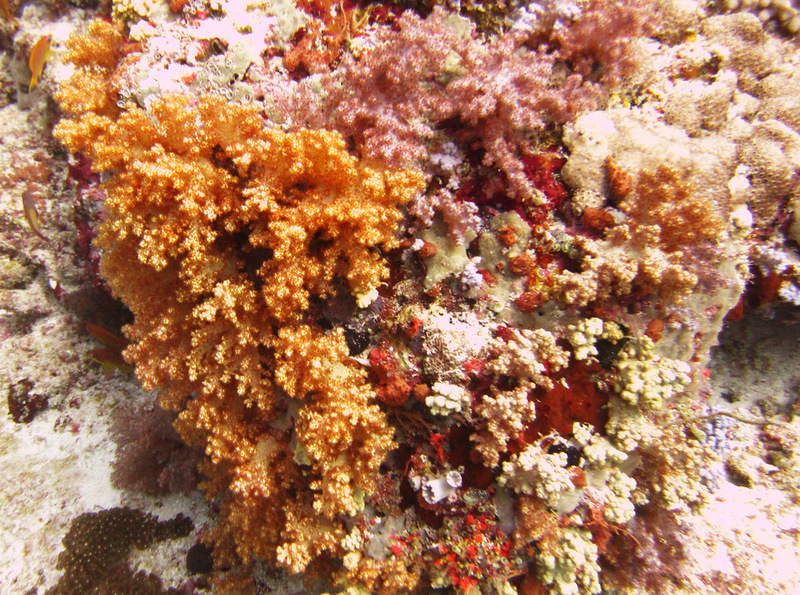 ...and here at Thudufushi Tilla, alongside the Dendronephthya soft corals.